We are celebrating the beginning of the Jewish New Year: Rosh Hashanah, which literally means "Head of the year", the first day of the civil year in the Jewish calendar. According to Jewish tradition, God inscribes each person's fate for the coming year into a book, the Book of Life, on this day and waits until Yom Kippur (Day of Atonement) to "seal" the verdict. During the 10 Days of Awe, in between, a Jew tries to amend his or her behavior and seek forgiveness for wrongs done against God and against other human beings. One of my favorite customs of the holiday is sending greeting cards, wishing everyone a happy new year. This year I made 4 types of cards. 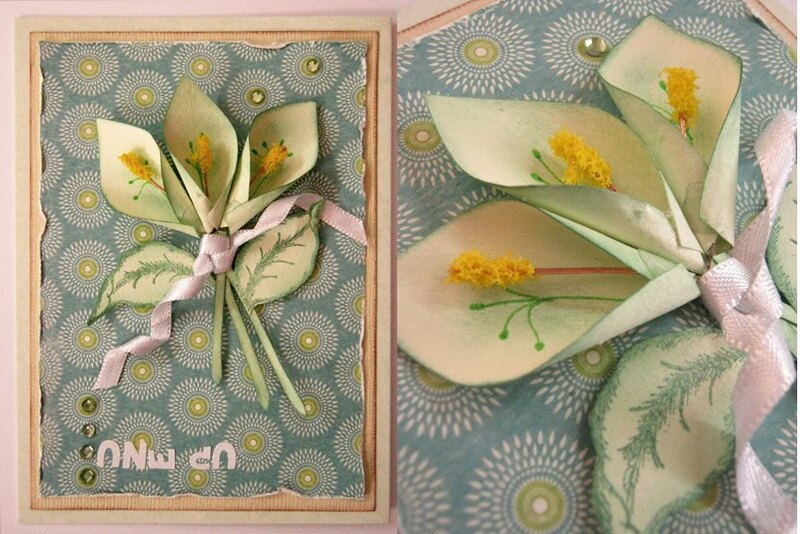 In case you missed the other two cards you can find them here: Apple card, Sunflower card. 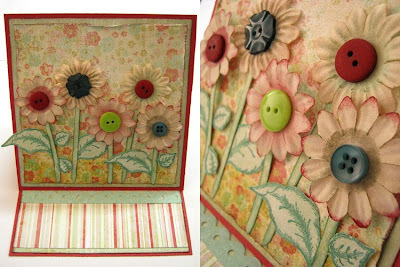 For the easel card I made "a field of flowers". 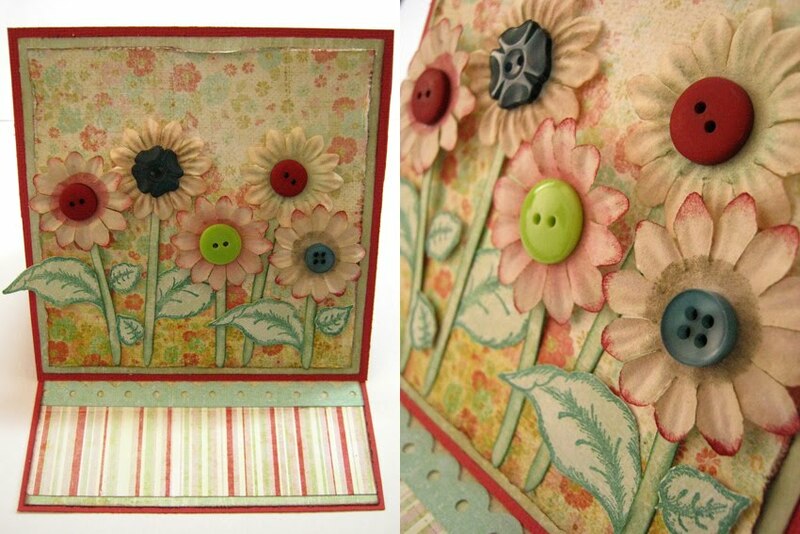 The stems and leaves are made with Heartfelt Creations' stamps and the flowers are inked and embellished with buttons. The Calla Lilies and leaves are made with Heartfelt creations' stamps, the stamens are made from a wire covered with yellow flower soft. The translation of the sentiment is: happy holiday. כרטיסים נפלאים- אני מאוד אוהבת את פרחי הקאלה ולראות שיצא לך בצורה מושלמת, זה מעורר השראה. כרטיסים נהדרים. הראשון יפהפה והשני...אח.... עדין ונפלא. על מה הדבקת את ה flower soft? וכמו כן, האם השתמשת בדבק היעודי או שגם לך נראה שזה מהלך שווקי ובעצם אפשר להשתמש בכל דבק שאינו נוזלי מדי?